Loro Piana's new shop brings the finest wools out east. Much ink is spilled over the perfect beach caftan or bathing suit, but when the sun sets and the ocean breeze wafts in, there is nothing more apropos than a sumptuous piece of warm cashmere. 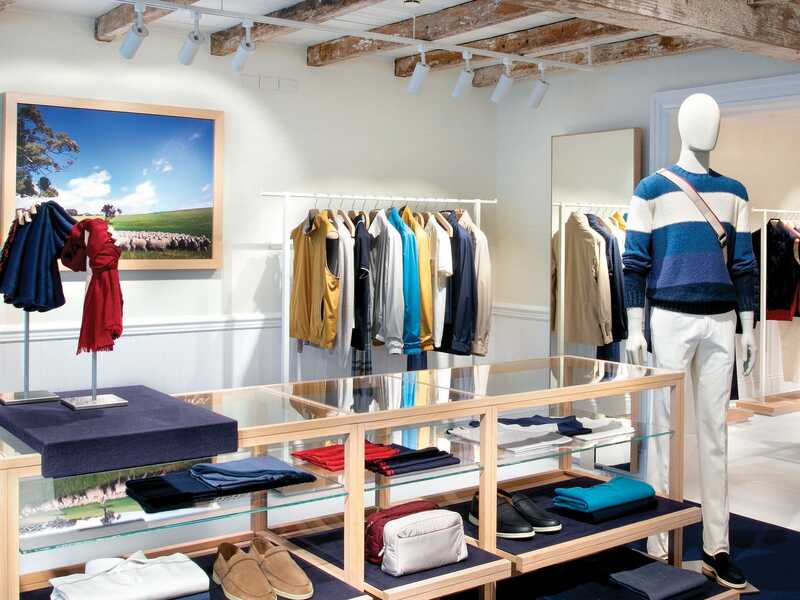 At long last, Hamptonites don’t have to travel far to scoop up one of the premier labels: Beloved brand Loro Piana has recently opened a stunning two-story, 3,304-square-foot shop in East Hampton. The boutique—the brand’s 22nd in the U.S.—occupies a prime piece of real estate on East Hampton’s Main Street and was renovated with the beach in mind. The sunlit space is complemented by a neutral color palette, inspired by the local area. The building’s historic exposed wood beams were also left in place, which pair nicely with Loro Piana’s signature use of oakwood finishes. The Italian brand, which has been extant for six generations, may be known for its top-quality cashmere, but the house excels in much more. It crafts garments from virtually every type of luxury fiber and fur, including vicuña, chinchilla and an extremely rare type of merino wool that has been dubbed “the Gift of Kings.” Loro Piana has also created high-end fabrics for everything from private aircraft interiors to textiles designed specifically to withstand the weather extremes on a yacht.